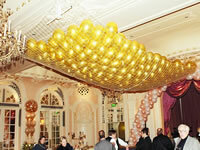 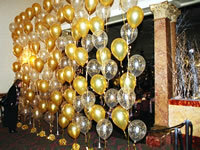 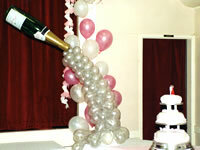 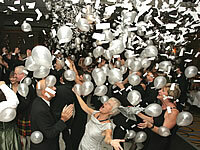 Balloon decoration can transform the venue for your wedding celebration. 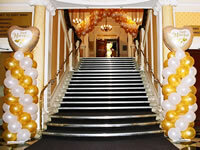 From classic centrepiece arrangements and arches to decoration of the whole venue with freestanding arrangements, balloon sculptures and even balloon pyrotechnics. 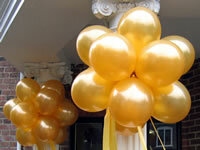 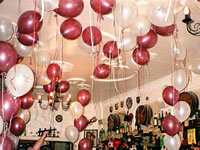 Balloons are available in a large range of colours and several finishes. 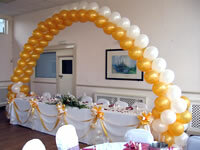 Click on the buttons below to see examples of the arrangements that we provide.